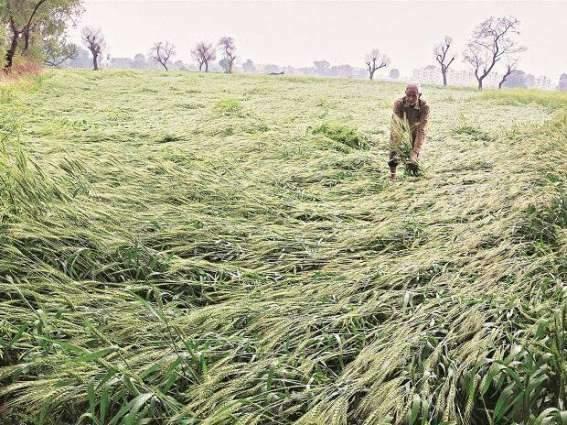 MULTAN, (UrduPoint / Pakistan Point News - 17th Apr, 2019 ) :The district administration has started survey of damaged crops caused by heavy downpour during the past two days in the district. Deputy Commissioner Mudasser Riaz visited Dunya Pur and Makhdoom Rasheed areas to know the losses caused by heavy rains there and later met farmers. He assured the growers to give them compensation to their losses after assessment based on survey reports. He asked the revenue officers to prepare report on all losses in a couple of days. One-day training programme for cotton farmers on Tuesday held at Central Cotton Research Institute M ..